Here's a Flea Market that knows its stuff. With ardent collectors, the treasure hunting comes easily. Shop for authentic vintage clothing, vinyl records, clocks, watches, furniture, exotic plants, china, jewelry, paintings—the list keeps going, believe us. Thankfully you wont find any H&M t-shirts or tube socks here, but maybe a few dogs running around—their pet friendly! 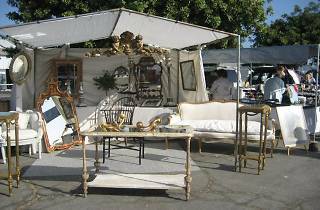 Rummage through many stalls set up at the Santa Monica Airport, on the fourth Sunday of every month (the larger, well-known sale) or the first Sunday of every month (smaller set up) for timeless items. 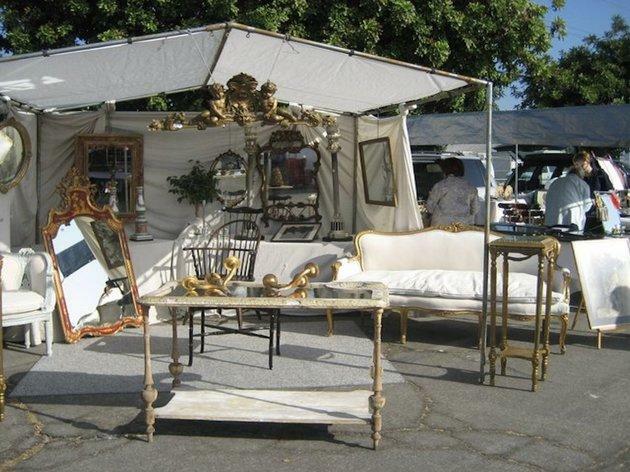 Add that all up + free and easy parking and you'll have the SaMo Flea Market of your dreams.